This trail is part of the Rock Hill Outdoor Center at Riverwalk, offering scenic views of the Catawba River and a great location for outdoor activities. The paved trail is 10 feet wide and connects to nearby River Park, providing users with a 3.35 mile trip from the end of one park to the other. This facility provides a top notch facility for tennis enthusiasts and tournament play. This facility consists of 10 regulation courts, one championship court, an observation deck, a pro shop, and concession area. Public play, memberships, clinics and lessons are all available. Open 7 days a week; hours vary by season. Offers seasonal campgrounds that are open during big-game deer and turkey hunting seasons. 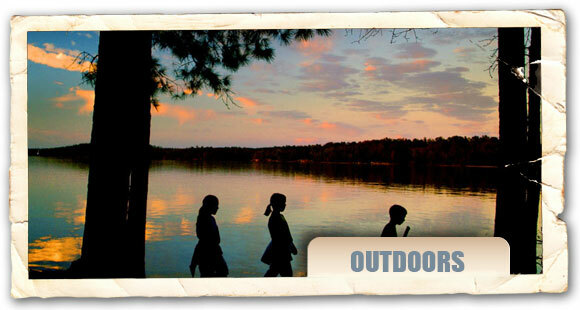 The campground has designated campsites in open areas surrounded by woods, No reservations taken. The surrounding forest environment sustains abundant wildlife populations, making it one of the most desirable hunting areas in the upstate.